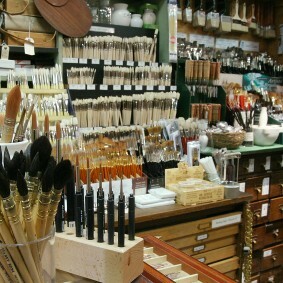 A mecca for strokeable masterpieces produced by the cream of France and Spain, including Metaphores and Gaston y Daniela. Each one of Alexandra D Foster’s cushions is printed on pure silk and hand-sewn at a mill near Italy’s Lake Como. The vibrant designs are inspired by patterns and motifs collected on her travels, whether it be an ancient bronze Roman doorhandle, a detail from a rooftop in Amalfi, or an insignia spotted in Marrakesh set against saffron silk. Go online for a list of stockists, which include Harrods and Baar and Bass on King’s Road, Chelsea. Made in England, designer Jo Bound’s remarkable fine art fabrics take their reference from the natural world and are available by the metre, as cushions or upholstered on furniture. Established in the 1930s, this British brand remains the longest standing interior design firm in the UK. 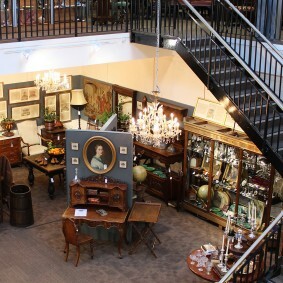 Its flagship store on the Fulham Road houses its decorating brands Colefax and Fowler, Jane Churchill, Manuel Canovas and Larsen, and is a treasure trove of fabrics and wallpapers. Super-soft cashmere, wool paisley and luxe linen finished with hints of silver are just some of the offerings at Bernie de le Cuona’s showroom. This galleried Edinburgh studio, housed in a renovated Victorian swimming-pool hall, is a great place to watch tapestry-weavers at work. Like what you see? The designers also take commissions. Hand-drawn patterns and classic stripes in superb colours. This French company makes high-end decorative fabrics and trimmings. Japanese influences and a spicy ‘Marsala’ colourway star in the new collection. Established in the 1960s, this Newbury-based family-run business excels at timeless checks, plaids and stripes. Also offers a broad selection of trimmings and tiebacks. High-performance, large-scale geometric weaves and sophisticated plains available in soft neutrals and fabulous brights. Cotton and linen are presented in striking geometric prints and painterly washes. This Danish brand works with world-class designers such as Patricia Urquiola and Ronan and Erwan Bouroullec to produce deluxe textiles using advanced techniques. Now situated opposite the spot where the family opened its first market stall, Joel & Son Fabrics has connections with factories in Italy, France, Switzerland and India. It sells a staggering selection of materials, including patterns by designer brands, plus all of the trimmings. Look out for the bins full of amazing offcuts. This West London shop is a fabulous source of textiles from around the world. Expect to find kilim rugs, dhurries and embroidered cotton quilts alongside a fantastic array of artwork and other accessories. 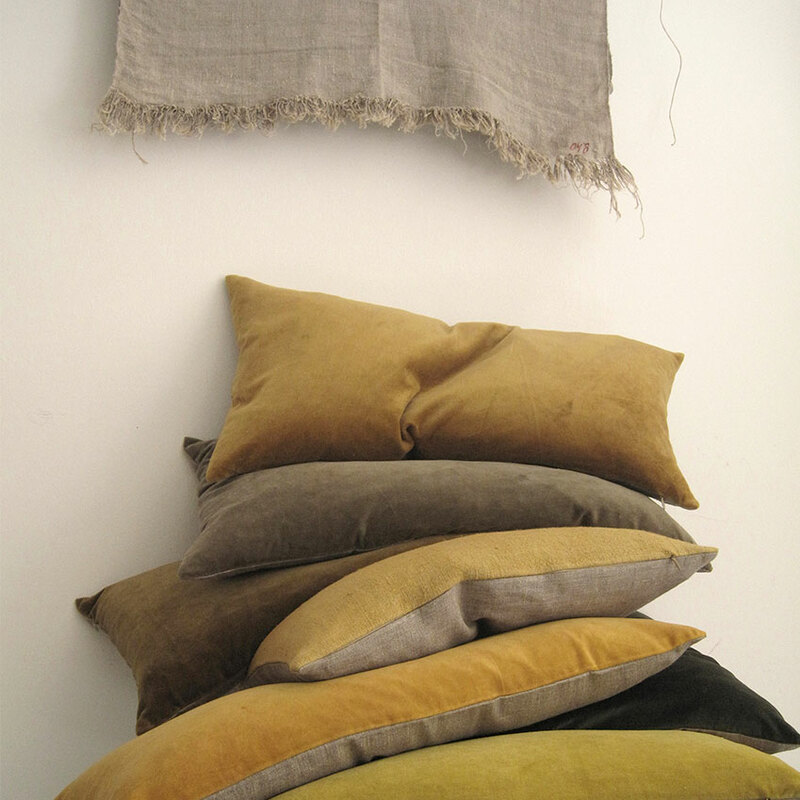 This Suffolk-based textile designer produces velvets and linens that are hand-dyed or hand-painted in a broad spectrum of muted colours. 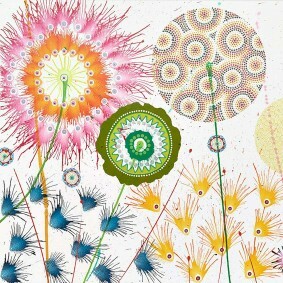 She uses these to create everything from embroidered cushions to curtains and wall panels. Plus, look out for her wooden spoons, which are made by hand in Kenya. The linens, silks and wools that this company uses are environmentally friendly and produced in an ethical way (its supplier in India is an official Fairtrade partner with Oxfam and Greenpeace). The attractive range of homeware includes cushions, bedding, rugs and blankets. This firm produces traditional upholstery fabrics, from silks and damasks to velvets. It can also reproduce historic fabrics; in the past, it has worked with stately homes to help recreate Tudor designs for the New York Metropolitan Opera. This German manufacturer wows with graphic plaids, sporty pleats and botanical patterns in a wide range of materials. Bold geometrics, delicate sheers and innovative printed velvets. The new ‘Ragtime’ collection has been created with textile designer Margo Selby and the company distributes fabrics and wallpapers by Nina Campbell, Matthew Williamson and Lorca. Motifs based on historical Japanese woodblock prints decorate interior designer Rodman Primack’s modern graphic linens, which are made in Los Angeles using a muted colour palette. Available from Redloh House Fabrics. Distributors of fine fabrics from around the globe, including English chintzes by Jean Monro, silk and linen brocade by Patrick Gallagher Tessuti, and jaunty patterns by Neisha Crosland.